This is so pretty Sylvie. Lovely. Adorable image too. Thanks for taking part at I ♥ Promarkers this week. Beautiful card Sylvie, I like the image, the colours and the bunting. Such a sweet card - the image is adorable and beautifully coloured. Love the banner! Hi Sylvie, I love this image, reminds me of dressing up in my mums clothes when I was little, many moons ago. Love the papers and colours and the heart banner looks fab. 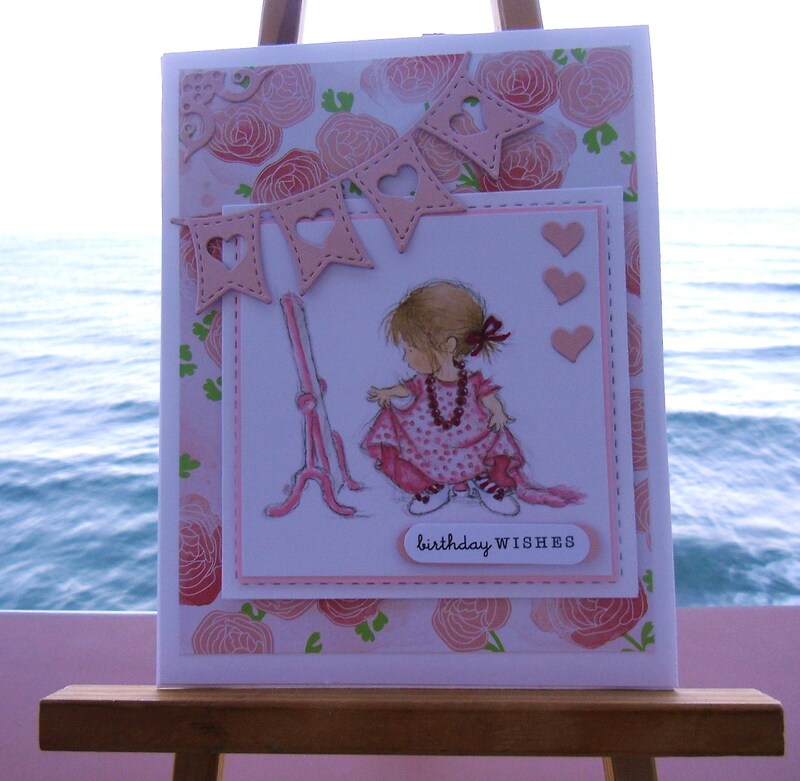 Gorgeous card Sylvie. I love the sweet image and pretty papers. Adorable! What a sweet image! Love that banner border!! !